Roundtable discussions. 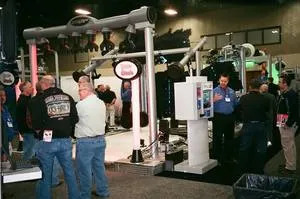 On the tradeshow floor. The Southwest Car Wash Association’s Annual Convention and Car Wash Expo for 2018 takes place in Arlington, TX, running from Sunday, February 25 through Tuesday, February 27. Once again the venue for the show is the Arlington Convention Center, while the Sheraton Arlington Hotel acts as headquarter hotel for the event. CEO Forum, the opening session on Sunday, features three car wash industry veterans: David Begin of Wild Blue Car Wash, Sonny’s Enterprises’ Paul Fazio, and Bill Martin of Metro Express Car Wash. The panel will be tasked with making sense of how the industry will be impacted by such developments as consolidation, market saturation, autonomous cars, etc. Looking further ahead, they will discuss the challenges presented by the projected decline in car ownership. The tradeshow floor opens immediately following the CEO Forum. In all, between Sunday and Monday, the event offers attendees nine hours of visiting time with exhibitors, who will be occupying over 70,000 square feet of exhibit space. The keynote speaker during the General Session on Monday will be Rob O’Neill, the former Seal Team Six leader who led the search and fired the shots that took out Osama Bin Laden. A best-selling author, he appears on many primetime television shows, sharing his views on terrorist threats and providing leadership insights. Since leaving active duty, O’Neill co-founded Your Grateful Nation, which provides individualized transition support for Special Operations heroes and their families. He will share his stories and perspectives for business owners encouraging them to “never quit,” the mantra by which he lives. 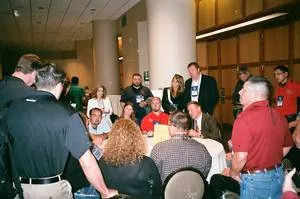 The educational program on Monday includes the ever-popular roundtable discussions and idea exchange sessions. On Tuesday, the Car Wash Academy presents several educational sessions covering diverse subjects, while the International Detailing Association offers a morning filled with auto detailing education. * Highlights based on information available January 4, 2018. Subject to change. For the latest information, visit www.swcarwash.org.